They moved everyone that long hot summer fifteen years ago. They needed a new reservoir and an old community seemed a cheap price to pay. They even dug up the dead and moved them too. But four inhabitants of the valley they couldn't move, for nobody knew where they were. Three little girls had gone missing, and the prime suspect in their disappearance, Benny Lightfoot. This was Andy Dalziel's worst case and now fifteen years on he looks set to relive it. It's another long hot summer. A child goes missing in the next valley, and old fears arise as someone sprays the deadly message on the wall of Danby: BENNY'S BACK! Music and myth mingle as the Mid-Yorkshire team delve into their pasts and into their own reserves of experience and endurance in search of answers which threaten to bring more pain than they resolve. 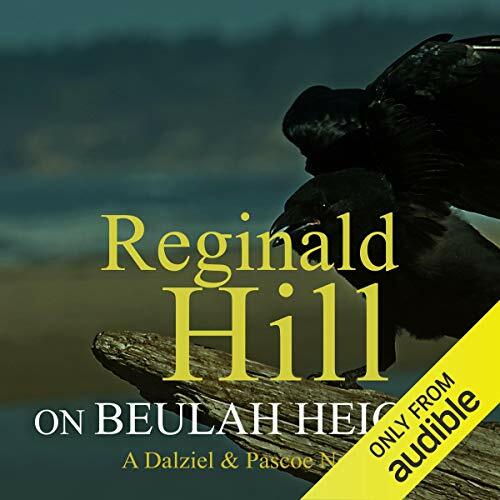 ©1998 Reginald Hill (P)2015 Audible, Ltd. Truly enjoyable, if a bit disturbing. Another score for Reginald Hill, one of the best out there. This was a terrific novel and Jonathan Keeble was absolutely brilliant. Keeble brought each character to life. It was like a one man show where he played all the parts and it was fantastic. Truly one of the great narrators. We will listen to anything he reads. Classic Andy and Pascoe with the always clever Wield and the up and coming Novello make this a winner. Excellent narration by one of the great voice actors. Really enjoyed it. A mystery written like literature. It is so difficult these days to find a good mystery with great characters that is also well written and a pleasure to the English language ear. Beulah Height kept me caught up in its characters and story for many days.